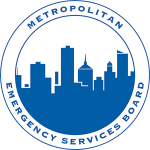 The Metropolitan Emergency Services Board supports the Metro Region All-Hazards Communications Response Taskforce (CRTF). The CRTF is an ICS trained all-hazards personnel resource to be used by an agency to assist in the field, the command post, the EOC or the PSAP. The CRTF responds after a request based on established SOP following local, state and national standards. An agency can expect an advance team to include a COML, a COMT and an Incident Dispatcher. The CRTF can be an expertise or personnel resource and may assist with logistics if the communications or other equipment is necessary. The team will assume radio duties for the incident or event and can be a resource to support troubleshooting and managing equipment, documentation and resource deployment. Our personnel assist the Incident Commander with incident management support in the field or at the Command Post by completing ICS paperwork, maintaining status and accountability of equipment, personnel and units on the scene, and relaying pertinent information back to the Communications Center or EOC. The team can also deploy directly to an EOC or Communications Center to assist another PSAP. The MESB COML group is 30+ strong with representatives from several Metro Region counties. The COML’s responsibilities include developing plans for the effective use of incident communications resources, equipment and facilities. This includes directing the distribution of communications equipment to incident personnel, and coordinating the installation and testing of communications equipment. The COML will supervise other members of the CRTF such as the Communications Technician (COMT), Incident Dispatchers and others. The IDT is comprised of dispatch professionals from around the Metro Region. The team represents multi-discipline PSAP personnel (police, fire, EMS) ready to deploy and bring the unique skills of the dispatcher to augment incident management at an incident or event. The IDT also serves as Minnesota’s Telecommunications Emergency Response Taskforce (MN-TERT) under the National Joint TERT Initiative (NJTI). TERT is a state to state PSAP mutual aid personnel resource that operates under the Emergency Management Assistance Compact (EMAC). MN-TERT is recognized nationally. The COMT is a trained technical resource with knowledge of local communications and communications systems, frequencies and spectrum, technologies, local topography, system site locations, knowledge of local, regional and state communications assets that include radio caches, mobile communications vehicles or other deployable communications assets. They support COMLs, the Communications Unit, IDT and other field responders as necessary. Oversight of the Metro Region CRTF is accomplished through a multi-disciplinary CRTF Steering Workgroup that includes communications professionals from Law Enforcement, Fire, EMS and represents COMLs, COMTs and the Incident Dispatchers. This group meets every other month at the MESB. The CRTF conducts quarterly trainings to maintain awareness and readiness for its team members. When the CRTF is requested, it is the CRTF Steering Workgroup which decides next steps and puts together a deployment team. A small advance team may also be used depending on the circumstances and complexity. All CRTF teams will include a team leader who will lead the other members and interface with the requesting agency.